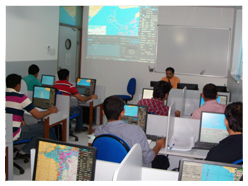 This 40 hours generic ECDIS course is run as per the guidelines of IMO Model course 1.27 (revised in 2012) and gives the officers knowledge and practice on the operational use of Electronic Chart Display and Information System (ECDIS) equipment in accordance with the requirements of the STCW convention - 78 as amended in 2010. Legal requirements for the carriage of ECDIS and for the carriage of back up systems. 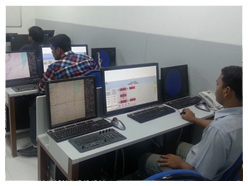 Structure of ECDIS and the ENC. Revision of SOLAS Chapter V.
Updating ENC and methods used - a) Automatic Loading, b) Semi automatic, c) Manual corrections. Possible errors in displayed data. Radar and ARPA interface and overlay. Additional Database Information-such as tidal streams , true wind and weather overlay. Recording and playback of voyages performed on ECDIS. Dangers of over-reliance on electronic systems. - Copies of Passport, CDC, COC & INDOS No. 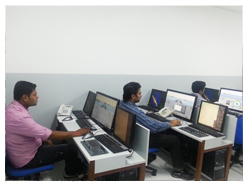 - Bridge Watchkeeping certificate for minimum 3 months.